Stay informed with the latest updates, jobs, and events on our plate! With May 1st marking May Day, or International Workers Day, it's time to "honor the hands that harvest your crops," as labor leader Dolores Huerta once said. The Justice for Farmworkers Campaign is mobilizing farm workers and allies for a day of reflection and advocacy at the New York state capital for Farm Worker Albany Day on May 15th . According to Justice for Farmworkers, "Farmworkers in New York State do not have basic labor rights or protections. They do not have: the right to a Day of Rest, the right to Overtime Pay, the right to Collectively Organize, the right to Workers' Compensation, the right to Unemployment Pay, nor the right to Disability Benefits, among other labor rights extended to every other worker in the State." We need to support farm workers in word and in deed. For more info on the action in Albany and Justice for Farmworkers . RSVP and sign up to ride the bus to Albany here . N ew York State Ag & Markets recently announced a Community Growers Grant Program . Th e program supports community gardens, school gardens, and urban farms feeding communities across the state, with $25,000 available per eligible project. Applications are currently being accepted through May 21! With the blossom of spring, we are so grateful to be outside more recently. 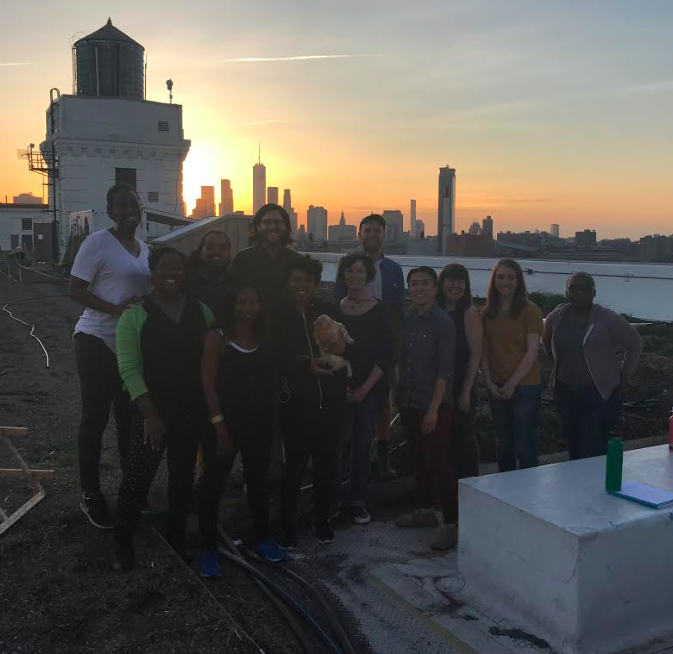 We've had numerous visits to sites throughout the city and beyond-- KCC Urban Farm for Propagation, Growing Soils to BK ROT , Hattie Carthan Herban Farm in Carpentry, Animal Husbandry to Oko Farm , Brooklyn Grange , and Lowland Farm . 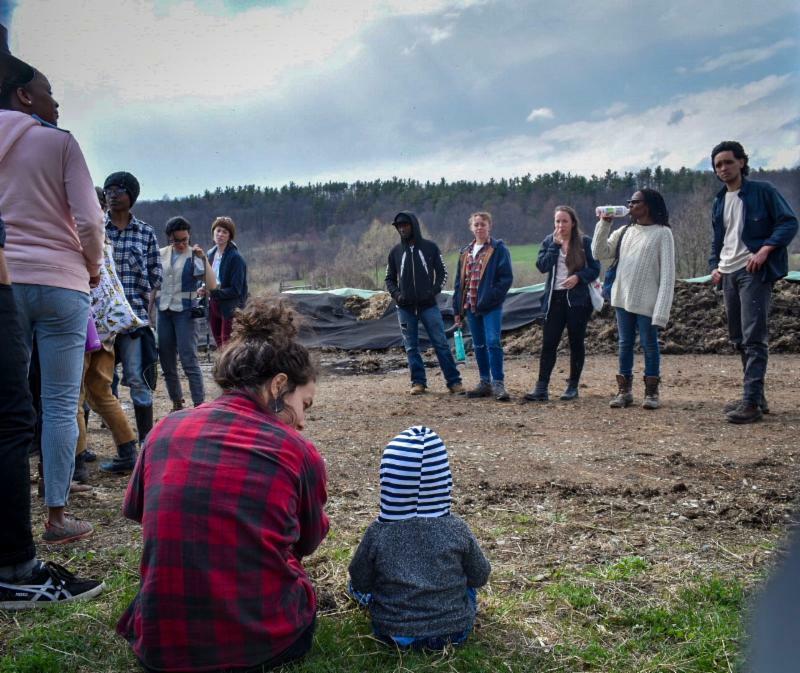 At the end of April, the Citywide and Farm Intensive programs shared a weekend farm trip upstate. After setting up a home base at Mettabee Farm , we had the opportunity to visit the biodynamic staple Hawthorne Valley , beloved Farm School family at Rock Steady , and the hugely inspiring Wild Seed community . It was an impactful, memorable weekend to say the least. We're excited for more trips in the future! "This is the Farm School class I was most looking forward to. I really enjoyed going back to middle school science and really learning about the principles behind how and why soil ecosystems came to be. It was an incredibly wide range of topics to learn from." "I wish I could do the trip all over again. What a gift. My biggest takeaways are really thinking about whether I want to grow in an urban or rural place. Making Farm School even more of a priority. Dabbling in my interests before deep diving into something. ﻿Having animals on a farm can extend past what they are doing for us or the farm, but that they can be friends. Their spirits add to the farm, they are more than just future products. I've never been into animals on the farm because I've always seen animal farms in a CAFO context, or never heard farmers speak of relationships with animals like Elizabeth from Mettabee spoke about." Summer course registration will be rolling out in the near future! For now, check out Summer course descriptions on our website . Certificate Program applications are also on the horizon! Our 2018 applications will run from July 15 to September 15. Like years past, we will host several Open House days and Info Sessions between July and September where prospective students can learn more about our programs in person. C.R.A.F.T. stands for the Collaborative Regional Alliance for Farmer Training. The first CRAFT was started in 1994 in the Hudson Valley as a way of farmers gathering to cooperatively support the growth of farm apprentices. The model has spread to over 25 regional networks in North America. CRAFT NYC is a collective network of farms and growing organizations in NYC based on the original CRAFT model. 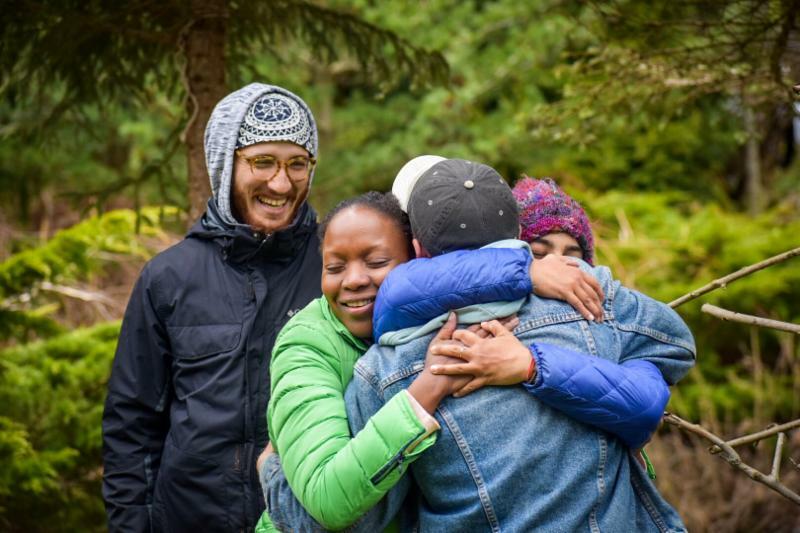 The network offers workshops throughout the growing season to provide educational and social opportunities for beginning farmers and farmers in training. If you are connected to a growing organization interested participating, reach out to Connor at connor@farmschoolnyc.org . Similarly, our friends at the Youth Food Justice Network organize youth CRAFT events for any interested youth organizations.